I will be alone forever. Maybe he doesn’t want kids? But, we had a connection. Didn’t we? 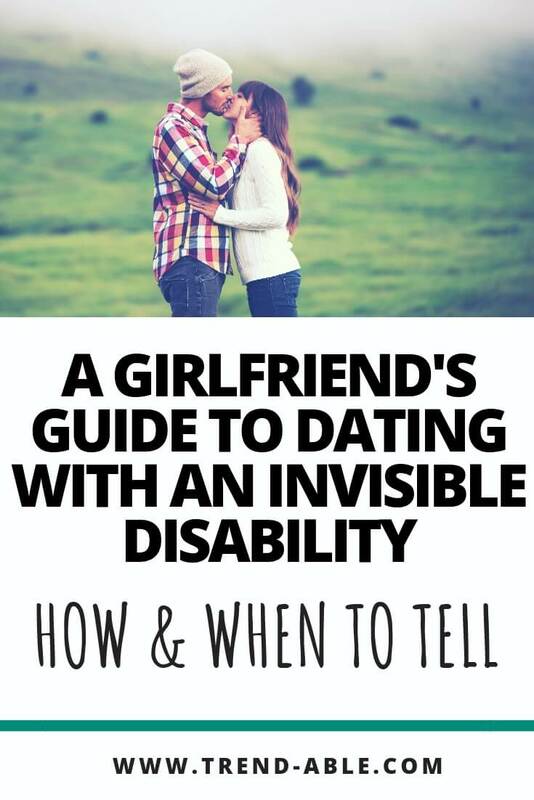 Women with an invisible physical disability have additional dating woes. We think about when & how to reveal our disability to a potential partner and if it will matter when we do. When I got married in 1997, I thought, as most new brides do, that it would last forever. I had known my former husband since college. The fact that I had a progressive neuromuscular disorder was never a factor in our relationship nor its eventual demise. He was supportive when I got my first pair of leg braces (AFO’s) and patient and helpful when I needed his arm for balance. He was (and still is) a great guy. Ten years, two kids and several wrinkles later, I re-entered the dating world. It was exciting, scary, disappointing, depressing and even comical at times. The 60-year-old Harley Driver who lied and said he was 45 and the supposed “venture capitalist” with a gambling problem who still lived with his parents, were just a few of my SNL skit-worthy dating experiences. It’s doubtful these guys would have made good partners for any woman but definitely not one with an invisible disability. After a year of full-time dating hell, I somehow managed to snag and marry the man of my dreams. If online dating, don’t post the fabulous photo of you from 10 years ago or say you love watching sports when you really don’t. Your profile sets the tone for a potential relationship based on honesty and truth with oneself. Post current (no selfies or swimsuits) casual pictures and highlight your actual interests. There are no rules for when to tell someone you have an invisible physical disability. Let’s pretend for a second that you are randomly asked to write a description of yourself using 15 words or less. 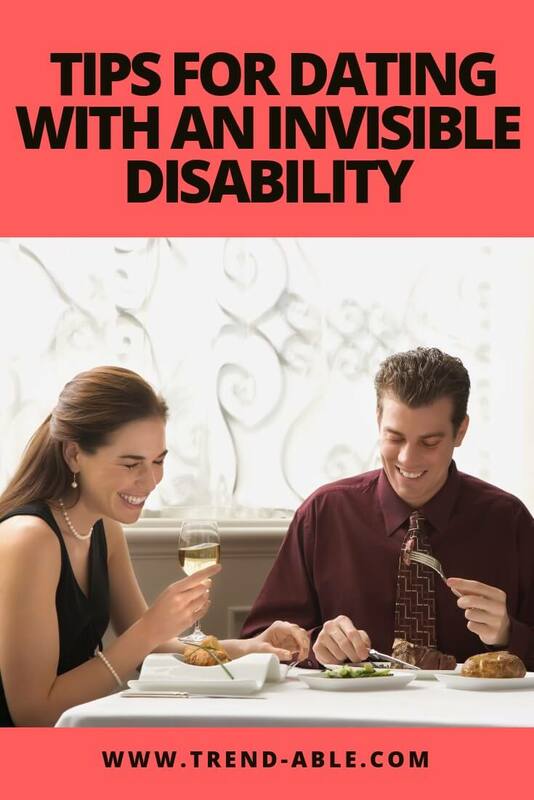 Do you mention your invisible disability? If not, then like me, it is not your lead and not something you need to tell someone about before or during a 1st or 2nd date. You have been texting and emailing with someone with potential, and he suggests meeting in person for a date. When you have physical challenges, the small details can negatively affect your comfort level and experience. Having to keep your balance while standing in a crowded, overbooked restaurant. Or, going to his favorite sushi restaurant and needing a fork because you can’t use chopsticks are things that can throw us off our game. You can avoid the unexpected (mostly) by having a few favorite “go to” places to suggest. In my experience, most men are happy not to have to do the planning and will meet you wherever you want. When couples who are newly dating see a potential future with one another, their conversations naturally become deeper and more intimate. I only told two of the men I dated details about my neuromuscular disorder. I didn’t see a point of going into it when I wasn’t certain he or I even wanted to see each other again. Try not to stress about the right time to tell him you have a physical disability. It will most likely come up as part of natural conversation. Like, “Do you mind tearing my sugar packet? …I have trouble with my hands.” Try keeping the explanation to a minimum and using humor. No date (or anyone, period) wants a lesson in genetics or the epidemiology of your disorder. Dating is a leap of faith for everyone. In order to eventually meet someone great, you have to jump (or walk slowly) in the game. None of us come with warning labels or a set of instructions. Some people will like you and some people won’t, regardless of your disability. Try not to be self-critical or make assumptions. Confidence is the sexiest thing you can wear, so work it. Don’t settle for anyone who doesn’t make you feel like the beautiful woman you are. All so true! Great article!